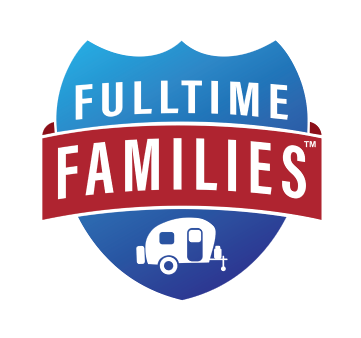 I have participated in many discussions in the Fulltime Families Facebook group, and the most common types of tax questions that pop up involve questions over deductions…what is deductible, what is not, specifically in the context of the fulltime RVing lifestyle. So as a guest on the Fulltime Families blog, I thought I’d tackle 3 of the most common, most aggressive tax deductions people ask about. Filing taxes for 2018? 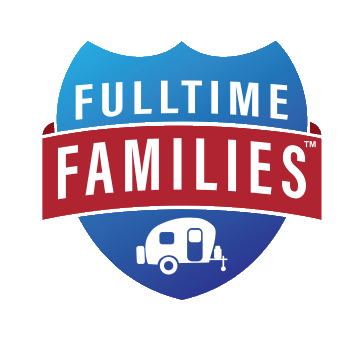 Click here to read our latest post that will help answer your questions about filing taxes as a full-time RV family. 1. Can I deduct the cost of my RV? For most fulltime RVers living in their RV as their primary personal residence, the full cost of their rig is generally not going to be deductible. Some have tried to take a home office deduction for a portion of their RV, but the IRS has a strict “regular and exclusive use” rule for any portion of a home being deducted as a home office, and it is difficult if not impossible to meet this requirement while living in an RV as your primary residence (see IRS home office guidelines here: https://www.irs.gov/Businesses/Small-Businesses-&-Self-Employed/Home-Office-Deduction; also see this tax court case where an RVer’s home office deduction was disallowed: http://www.ustaxcourt.gov/InOpHistoric/dunfordmemo.gustafson.TCM.WPD.pdf). If you financed your RV, you may be able to deduct the interest on your loan. You also may be able to deduct the personal property taxes you pay to your state for registration of your RV and your tow or towed vehicle. And in the year you purchase your RV, it may be beneficial to deduct the sales tax you paid upon purchase. If you make special adaptations or purchase equipment for your RV that is primarily or exclusively used for business purposes (such as a wifi booster, work desk, office chair, computer equipment, etc. ), this may also be deductible. 2. Can I deduct my travel expenses? Travel away from one’s “tax home” may be deductible. The question of where a fulltime RVer’s tax home is can be a challenge to answer, though. For most fulltime RVers who do not have a “home base” (i.e. a second home somewhere that they check in with regularly where living expenses are being duplicated), they are considered what the IRS calls “itinerant.” Itinerants do not by definition travel away from home because their home goes with them where they go. There may be exceptions depending on your unique situation. If you do plan to deduct travel expenses, it is important to keep a detailed, written log of your miles traveled (the IRS will ask to see it if you’re audited!). To read more about deductible travel expenses and record keeping requirements, see https://www.irs.gov/pub/irs-pdf/p463.pdf. 3. Can I deduct my campground fees? This question is somewhat related to the previous one. If you can’t prove you’re traveling away from your tax home, then in general, your lodging (i.e. campsite fees) is not going to be deductible. If you can demonstrate you are traveling away from your tax home, then it may be possible to deduct some or all of your lodging expenses. In my experience, fulltime RVers really do not get any special tax treatment compared to those living in “sticks and bricks.” If the RV is your primary personal residence, treat it as such, and enjoy the financial savings you reap by not maintaining a second residence while you travel. Aggressively attempting to write off expenses which are truly personal in nature won’t be worth it in the case of an audit. For those who own their own business, there may be more gray area. If yours is a special or complex situation, it would be a worthy investment to work with a qualified tax preparer who can take your unique set of facts and correctly interpret and apply the tax code to your situation. Remember that you are ultimately responsible for the numbers that are reported on your return, so it’s important to work with a professional who will be fair but not overly aggressive. Be sure to keep good, organized records so that you may take every deduction to which you are legally entitled to take. EXCLUSIVE FtF MEMBER OFFER: Current FtF Members, provide your FtF membership number at the time of your initial consultation for a $25 discount to be applied against your first invoice for services.